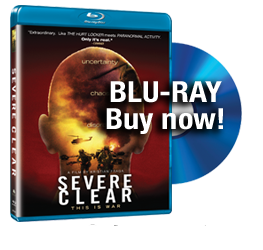 I was asked to review the movie “Severe Clear” which was made by Marine First Lieutenant (LT) Mike Scotti from New Jersey. This movie was shot with a DVD camera as the Marines fought north towards Baghdad and gives the viewer a clear picture of how nasty war is! It is NOT a Hollywood production. It also reminds us of the trauma that 911 was for many of us. LT Scotti carried with him the picture of a high school classmate who was killed on 911 and speaks eloquently that he was fighting for her memory. One is struck by the devotion to duty and to preserve the honor and glory of the United States that this movie brings out. The viewer follows the Marines from deployment to life on a troop ship, to training in Kuwait to the long fight to Baghdad. The carnage and confusion that are war are made vivid in the often gruesome photos and film of casualties. LT Scotti talks of the friction of war that was Operation Iraqi Freedom. The welcome of the Marines in Baghdad was exuberant—they were hailed as victors. How soon we screwed up—winning the war, but not the peace. This violence and unrest that began to build after the initial exuberance is well documented in the movie. The policy issues of not preparing for peace are alluded to but not discussed. The movie also shows banned rockets that the Iraqis had and frequently references the threat that was felt that they could be attacked by chemical weapons at any time. 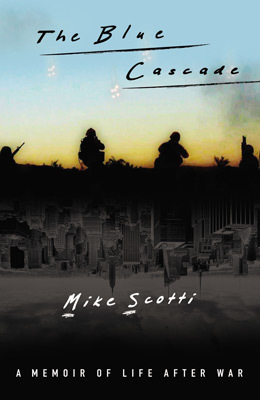 “War defines who you are!” In the mental confusion after not finding weapons of mass destruction LT Scotti would gladly fight again, but only for his buddies in the Corps (United States Marine Corps). If nothing else the viewer has a much better understanding of war and one can hope that the movie will raise their commitment to caring for veterans. I commend “Severe Clear” to those who want to learn what combat is like at the individual level—not the level of the talking heads. It is an honest and personal look at war, which policy makers should review before ordering troops into war. Veterans and other groups can arrange for screenings for their members or to buy DVDs at a discount to raise money for their organizations.